Four decades have passed since the Rydell High gang twisted, hand jived and crooned their way into the hearts of teenagers the world over -- but we're all still hopelessly devoted to "Grease." 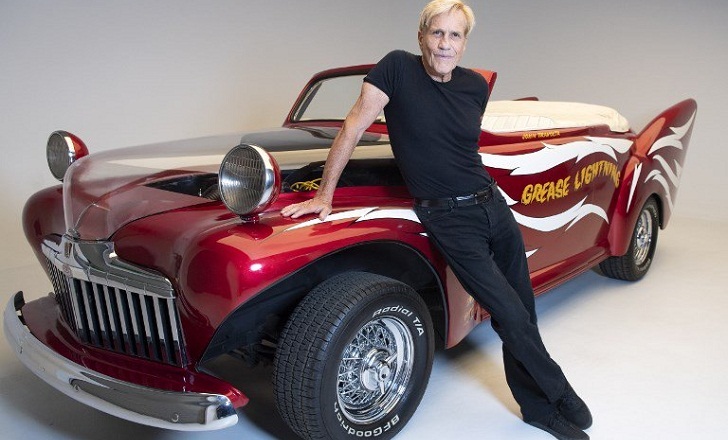 "When we finished it, we really didn't know what kind of impact it would have," filmmaker Randal Kleiser, who made his feature-length theatrical directing debut with "Grease," said in an interview with AFP. But it ended up grossing almost $400 million and was the most successful live-action movie musical of all time until "Mamma Mia!," 30 years later. When Kleiser cast his leading couple, Travolta had already filmed "Saturday Night Fever" but was not yet released -- and he was largely known as the young heartthrob from ABC sitcom "Welcome Back, Kotter." Travolta and Newton-John have remained close friends over the decades, starring together again in 1983's "Two of a Kind," a flop by any measure, and reuniting in 2012 to make a Christmas album. The director made other movies after "Grease" -- most notably "The Flight of the Navigator" (1986) -- but the lure of big studio blockbusters lost its luster and he moved away from the Hollywood system in the 1990s. Kleiser took Gibb aside and it emerged the Bee Gee knew nothing about the movie, the screenplay or the stage show -- and thought the word "Grease" was ridiculous. After a lull in the 1980s, he underwent a resurgence sparked by an appearance in Quentin Tarantino's 1994 masterpiece "Pulp Fiction" that made him an icon for a whole new generation. Newton-John kept her music career going and went on to appear in "Xanadu" (1980) and "Two of a Kind" (1983). She says she still has the skin-tight black pants she wore in "Grease."